Easter is almost here! We are getting so excited around our house. We are getting treats ready for next weekend and making sure all the gifts are being sent out. I like to buy gifts online so the items are sent directly to the recipient, no shipping for me. Have you purchased all your items yet? 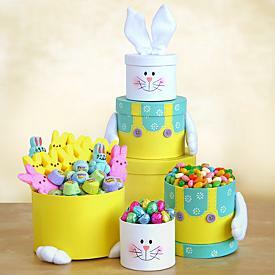 You can buy Easter Candy and Chocolate at Shari's Berries. Not only do they have delicious chocolate covered strawberries but they also have everything you need for Easter Candy and other gift baskets. My husband is not a huge chocolate fan and my mother in law cannot eat chocolate so I always make sure to have other items like fruit and salty snacks to go around. I love the idea of a gift basket with fresh fruit in it. So many times during holidays that involve lots of candy I want to have healthy treats for my son as well. We ordered the Special Treasures Gift Basket for Easter. I was happy to see the variety of items in the basket. I know my husband will enjoy the nuts and my son and mother in law the fruit. He declared all the fruit and the peanuts were his! The Demitasse Petit Fours were delicious. Tiny little cakes packed full of flavor and sweetness. I would definitely order another gift basket for a birthday or holiday from Shari's Berries. We LOVE their berries and I am glad to know they have the same quality to their other items. They have many cute Easter options and oh the chocolate options! They all look delicious. 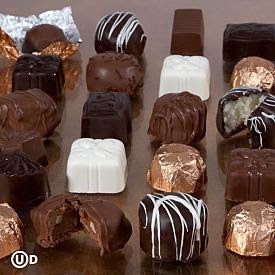 There are online coupons you can use for Shari's Berries HERE. *I was sent the products mentioned above for my review. This is not a paid post. What a cute gift basket. Looks really yummy!